"Before I bought your book and followed it religiously, I had a lot of problems with my teeth. Your book saved my teeth. I brought my teeth to health through your book. My new dentist still can't believe how pink my gums are and there's no bleeding when he checks my teeth. I wanted to take this opportunity to thank you." "What you have done in your book has been needed forever. It is invaluable. The world needs more general concern by the informed people like you. "To say I was impressed by your book is an understatement. I hope that perhaps some parents will take heed and watch what their children eat. I received the book from my dentist, who is one woman dentist who hasn't needed to be given an opportunity; she made it on her own. She is an outstanding dentist and agrees with practically everything in your book. Congratulations on writing a fine book!" “I feel that your book should be required in school as much as English or math. Wouldn't it be wonderful if I knew then what you have taught me now. Thank you...thank you...thank you." "The fact that I am writing this letter is proof that I think your book is a great piece of writing. I was impressed with the sincerity and concern for patients as human beings, which clearly comes across in your writing. This warmth and concern is vitally important. This is the only book that has been so enjoyable that I found myself reading even the acknowledgments." "The book has given me a basic understanding of oral health. My family's oral hygiene has improved since I've read the book. I'm thankful Dr. Tom wrote it for people like me." "I loved your book. Had I read it 20 years ago I probably would have a much nicer bunch of teeth. Having spent years at an orthodontist and having had lots of cavities as a teenager, I hope your book can save my kids from a similar fate. Dr. McGuire, you've really changed my life. Do you know that with all my education I never really understood cavities? Thanks for your book. I've never invested money so wisely." "Thank you for writing your book, however, I do wish the book would have been around a few years earlier. I think there is a need for a book for children with the same kind of approach as your book. 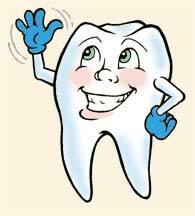 I'll soon have a new group of kindergarten children and I hope to help them get started on good tooth care habits." "I want to sincerely thank you because reading your book has profoundly changed my life, my habits and of course my mouth. My dentist recently commended me on my tooth care! By the way he was really impressed with your book too. I am in social work school and rarely learn of such information and will of course channel it back to help clients and teach other health conscious workers. Thank you again for the book." "Your book is terrific. I thoroughly enjoyed reading your comments and our whole family has been taking care of the teeth much better than before. Your book is a real incentive. Furthermore, my kids had proof in your book of what I have tried to preach somewhat unsuccessfully before. Great!" "This is to thank you very much for your book. If only more people cared to enlighten us on various things the world would be a better place to survive. With the help of your book, maybe I can guide my two daughters to a better and healthier mouth. Thanks again and keep up the good work." "I have suffered with gum disease, abscesses and great pain. Finally, I came across your book on preventive dentistry. Ever since I have applied your techniques, I have had a tremendous improvement. I have recently been told that my gums are so much better that surgery was no longer necessary as long as I continue to attend to home care." "We have read, been reading, living with your book for awhile now. Passed the title on to our dentist, who ordered one immediately and has also read it. It really is quite a book." "The language is geared to the youngster as well as the oldster (me) and last, but not least, you have left no stone unturned. Congratulations on a book that EVERYONE should read." "I have just finished reading your book. No doubt you have already received an avalanche of praise-filled letters, so I will condense my praise into: I feel it is the most honest, informative, practical and easiest to read of any book I have read in my memory (about five years). I plan to buy a copy for my kids to read (when they learn how)." "The truth at last is the way I would sum up your book. It was terrific and really hit home. Your book has become a permanent fixture on our bookshelf for ready reference with recommendations to many others to read and practice what they've read. A job well done and long overdue, to say it mildly. Thank you for taking the time to write it." "Hey you people out there, I have to tell you how proud I am of my discovery of your book which I am bragging about to all my co-workers, friends, and family. I am buying a copy for myself to push at friends every time they open their mouths."